At Creswell Junior school we like to be at the forefront of technology. We have a fully comprehensive and progressive curriculum for both ICT/Computing and for Esafety/Online safety. For information on what to do for safeguarding, online safety and reporting online safety - please view our safeguarding pages. We believe that computational thinking is vital in helping children to solve problems, design systems, and understand the power and limits of human and machine intelligence. We believe it is a skill that empowers, and one that all pupils should be aware of and develop competence in. Pupils who can think computationally are better able to conceptualise, understand and use computer-based technology, and so are better prepared for today’s world and future. Information and communication technology is an integral part of the national curriculum and is a key skill for everyday life. Computers, tablets, programmable robots, digital and video cameras are a few of the tools that can be used to acquire, organise, store, manipulate, interpret, communicate and present information. At Creswell Junior School we recognise that pupils are entitled to quality hardware and software and a structured and progressive approach to the learning of the skills needed to enable them to use it effectively. We embed online safety/esafety through every ICT lesson and through discrete lessons. We also take part in Safer Internet Days, have our own reporting systems and ensure children are taught how to be safe and how to report any concerns. (Please see our safeguarding pages). 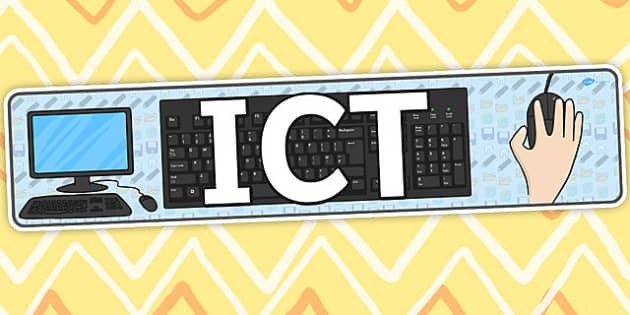 To view our full scheme of work for ICT and Esafety - please view and download our documents below. Algorithm - An algorithm is a precisely defined procedure- a sequence of instructions, or a set of rules, for performing a specific task (e.g instructions for making a sandwich). Control - Using computers to mover or otherwise change 'physical' systems. The computer can be hidden inside the system or connected to it. Data - A structured set of numbers, representing digitised text, images, sound or video, which can be processed or transmitted by a computer. Debug - To detect and correct the errors in a computer program. Input - Data provided to a computer system, such as via a keyboard, mouse, microphone, camera or physical sensors. Output - The information produced by a computer system for its user, typically on a screen, through speakers or on a printer, but possibly through the control of motors in physical systems. Program - A stored set of instructions encoded in a language understood by the computer that processes input to generate an output. Sequence - To place programming instructions in order, with each executed one after the other. Simulation - Using a computer to model the state and behaviour of real-world or imaginary systems, including physical and social systems; an integral part of most computer games. Variables - A way in which computer programs can store, retrieve or change simple data, such as a score, the time left, or the user's name.